Last Friday, October 14th, the box of October was shipped! In the box were coffees from the roastery Rocket Bean from Riga, Latvia. Our first collaboration with a roastery from the Baltics! For this month we selected three coffees from Africa. We hope you’ll like them! "650 to 750 smallholder farmers delivering cherry to the wet mill. This washing station is located near by the river Hamile in the Southern region of Ethiopia. The local village or Kebele is called Balo. The total production from this washing station this year (2016) is 5 container of green coffee." "Coffee is fully washed at Kainamui wet mill. After cherries were de-pulped, they went trough fermentation for 16-20 hours in shade.Dried on African beds for 15 days." "Heza Washing station was built by Long Miles Coffee Project, initiated by two Americans; Ben & Kristy Carlson. Heza means “beautiful place” in Kirundi. Growers – 1876 different farmers deliver to the mill, which supplies 5 different hills, or “colline”, Gitwe is one of them." 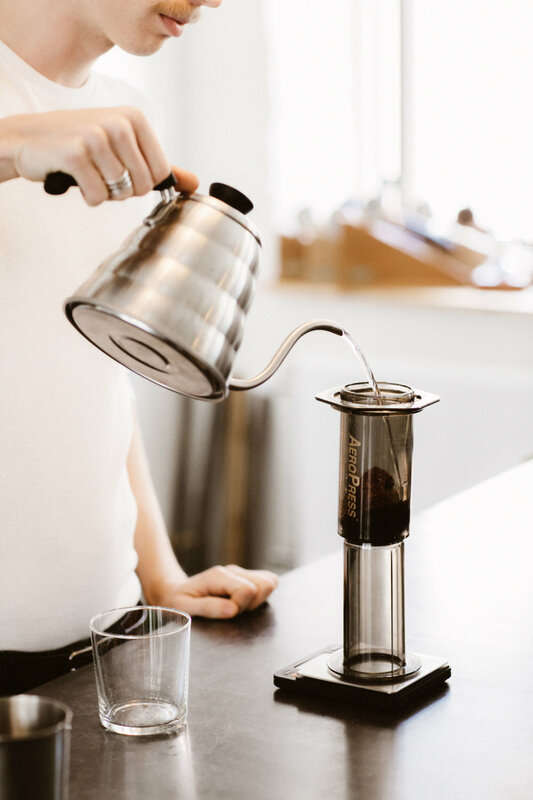 Don't miss out on our next shipment with Copenhagen Coffee Lab in November, subscribe now! For the month of September we shipped coffees from the German roaster JB Kaffee! We hope you will enjoy them just as much as we did. These are the coffees we sent. Included in the 250g and 2x250g box. "The small co-operative Biftu Gudina is one of Technoserves projects that are set up to improve the work structure at the processing stations, the quality of the coffee and the lives of the farmers. Biftu Gudina is a new co-op that was established in 2012 and thanks to a strong management the co-op produced fantastic coffee already the first year. Most of the coffee has grown at an altitude around 2000 meters, which let the cherries ripen slowly and build up a high sugar, content. The coffee cherries are hand picked and then hand sorted for unripes and overripes before they are being processed. After sorting, the cherries are mechanically pulped and the mucilage is removed with a Penagos Eco-pulper. The coffee is left to soak in water overnight before it is washed and dried on African beds for 10 days. The wastewater is naturally filtered through Vetiver grass before it is lead back into the ground. Shade nets cover the coffee during the warmest time of the day and over night. This is to avoid that the coffee is drying too fast. Biftu Gudina has a very unique flavour profile with a beautiful floral aroma and a taste of tropical fruits and black tea." Included in the 2x250g box. "The micro-mill Don Oscar is run by the brothers Horacio and Alejandro Solis. It is situated in Bajo Canet in San Marcos, Tarrazu. They mainly grow Catuai and Caturra on their farms. The coffees cherries are hand picked and hand sorted before they are being processed as white honey. Through the white honey process 95% of the mucilage is being removed mechanically before the coffee is moved to dry on raised beds for around 15 days. The last couple of years the young brothers have put a lot of hard work into making the production more efficient but also to produce better tasting coffees. They have been changing their growing practises resulting in coffees that are cupping several points higher than previous years. We are very excited to start working with the Solis brothers this year and are looking forward to many more." Only included in the tasting box. "The Karimikui Coffee Factory was established in 1966 and rests on a 6 acres piece of land serving the villages of Githureia, Gituba and Kiamugumo. Currently it is affiliated to Rungeto Farmers Cooperative Society (FCS), in an area where most smallholder farmers are growing tea, not coffee. The farmers here are mainly growing SL28 and SL34, accounting for 99% of the total coffee production, while we see some occasional Ruiru 11 plants. All coffees are pulped, dry fermented, washed, soaked and then sundried. Cherries are hand sorted for unripes and overripes by the farmers before they go in to production. A disc pulper removes the skin and pulp. The coffees are graded by density in to 3 grades. Grade 1 and 2 go separately to fermentation, grade 3 is considered low grade and processed separatly. The coffee is fermented for 16-24 hours under closed shade. After fermentation the coffee is washed and again graded by density in washing channels. The last step before drying is letting the coffee soak under clean water for 16-20 hours. The coffee is left to dry on raised beds between 14-16 days. The long-term goal is to increase coffee production through farmer training, input access and Good Agricultural Practice seminars that are conducted year round. The wish is to establish a transparent, trust based relationship with the smallholder farmer, helping to support a sustained industry growth in Kenya, whilst bringing premium quality to our customers, and premium prices to the farmers." April's tasting box is off! We sent three excellent coffees from Turun Kahvipaahtimo. The Kenyan coffee, Kamwangi Coop, was used by one of the contestants in the Finnish Brewers Cup. We hope you will enjoy these coffees just us much as we've had, we've selected them with care. Mahembe was Samuli's, at Turun Kahvipaahtimo, personal favourite. We love them all. Drying: Sun dried up to 21 days on African drying beds. Tasting notes: Juicy, sweet, red apple and red berries. Drying: Drying is done in a well ventilated parabolic dryer. March’s box is now off! Three great coffees from Jacu Coffee Roastery are now on their way to you people! We hope you will enjoy these coffees as much as we’ve done. December’s coffee box featuring Kafferostare Per Nordby is off! We are proud to be shipping from Sweden’s at the moment best coffee roaster. From Per Nordby we have selected three coffees from Honduras, Ethiopia and Colombia. Crecencio Izaguirre's farm Santa Maria is only 0.7 hectares and so does not produce any large quantities of coffee. But what it lacks in quantity, it makes up for in quality. The farm is named after Crecencio’s mother Maria and the whole family is involved in the farming process. This is the fourth season Per roasts coffee from Crecencio’s farm, which makes it his longest collaboration. Per Nordby met Heleanna on his first trip to Ethiopia and he says she makes one of the best natural coffees he has ever tasted. Heleanna runs a dry mill in Kochere, buys ripe coffee cherries from producers in the area and is meticulous in the drying and sorting of the beans. Carlos and Ángela Ortega have a small farm of approximately 2 hectares where they grow 100% caturra coffee. The farm is located in Nariño in the south of Colombia. They run the farm with help from their two sons, Richard and Carlos. The farm is located 2000 masl which gives the coffee a well developed sweetness and a complex acidity. Hi all! Hope you enjoyed October month’s coffee box. This month we are shipping coffee from The Broker Coffee Roastery from Uppsala, Sweden. We are really excited to send you this coffee for several reasons: The Broker is one of the more recently started roasters in Sweden which makes this a unique chance to get a taste of his coffee. We’ve tried all of the coffees that Johan, the founder, had available right now, and found all of them absolutely splendid. But we had to choose three. The first coffee is a Kenyan one from the district Murang’a, and it gets its name from the wet mill Githiga. 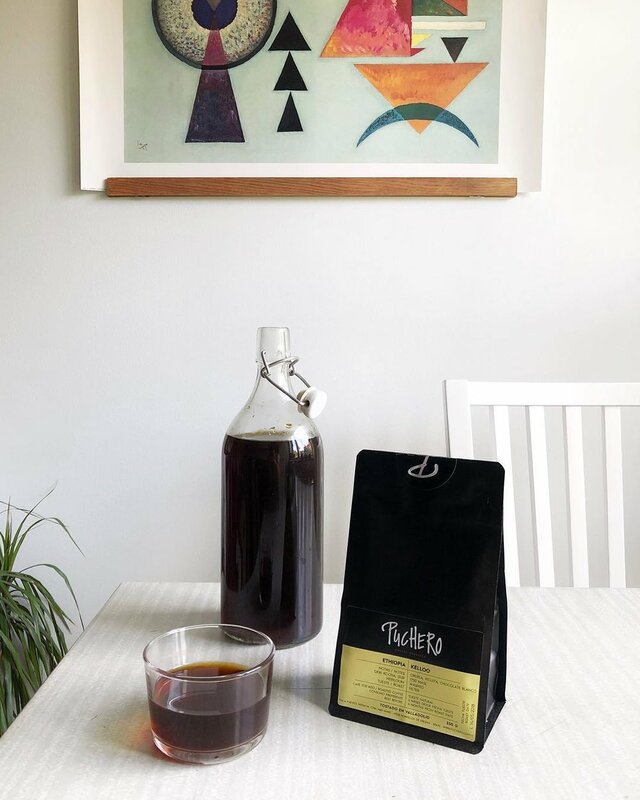 It has been The Broker’s most popular coffee and we can definitely see why.The first time we tried this coffee it was 6 months off roast, but still, we were thrilled. We were able to get our hands on the last kilos Johan had left of this coffee. It’s a juicy coffee, tasteful but well balanced between the sweetness and acidity. The second coffee is called Tweega and it’s also an African coffee but this time from Tanzania. We are very glad to have the possibility to send this beautiful coffee from a country that’s not very well known for its coffee. This is a rich coffee with notes of ripe fruits with a sweet taste. The third and final coffee is also from Kenya and is called Kiunyu. This is a new coffee and is later meant to “replace” Githiga. We absolutely loved both of them and are glad that we have the possibility to send you both. Kiunyu is a very well balanced kenyan coffee. Here you’ll find notes of pineapple and stonefruit. We are very proud to announce that our very first coffee box was sent yesterday! In this box you have a selection of three coffees roasted by Love Coffee Roasters from Lund, Sweden. We have selected three Ethiopian coffees, two washed and one natural. The vibrant and crisp Borboya, Knots that with its freshness and flowery notes reminds us about a beautiful day in spring, and finally Sasaba - a bomb of strawberries and blueberries. Borboya’s washing station is situated in Yirgacheffe. It is an incredibly clear coffee and with its wonderful notes of citrus and flower it was an easy pick. About 50 km from Yirgacheffe you find the valley where Knot’s station is located. The valley has its own microclimate and all the related farmers live in the area, close to the station. To make sure that no water goes to waste when washing the coffee, the leftover water is returned back to the lagoon in the area. It’s a classic Yirgacheffe with notes of bergamot and citrus. Sasaba is situated in the region of Sidamo. This coffee is a natural processed coffee: full-bodied, sweet and with loads of berry flavours. When you get to taste it, you’ll definitely see why we chose this coffee. We hope you will enjoy these coffees as much as we do, they are absolutely amazing. We would like to thank all of you who subscribed this month! Next month we’re shipping coffee from Drop Coffee Roasters who are pioneers when it comes to light roasted coffee. If you’re not already a subscriber, be sure to subscribe now! Thank you for this month, and enjoy your coffee!